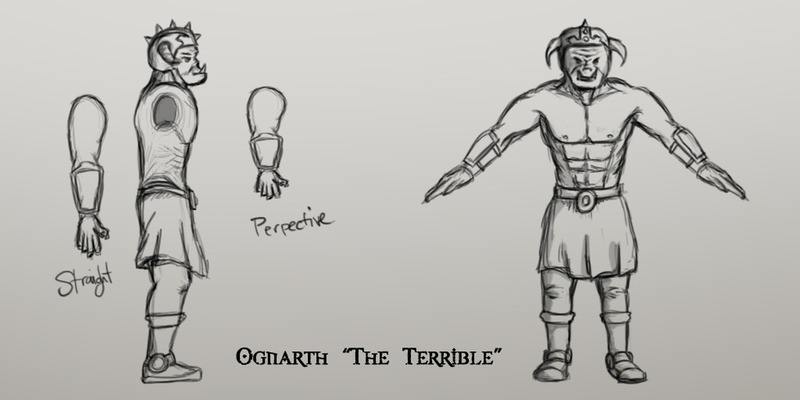 Concept Sketch for Ogre character. 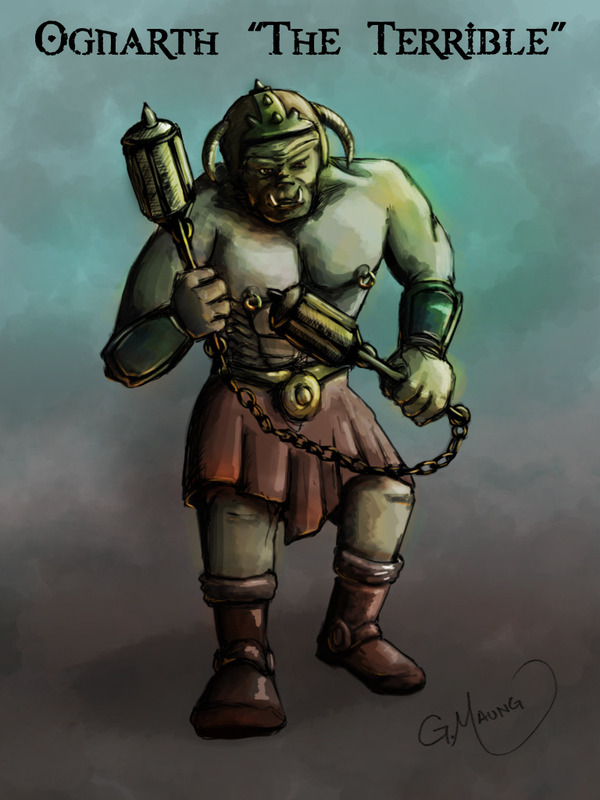 Character Concept for Adventure game. 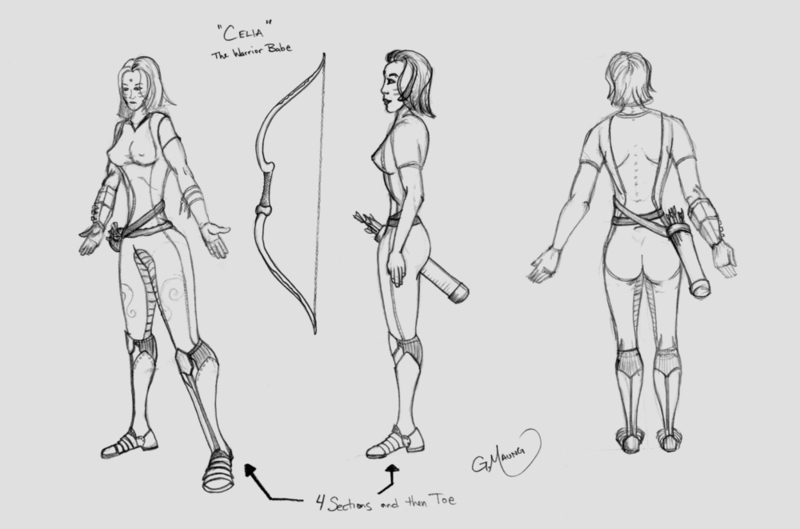 Concept Art for True Nature Character Mycelia "The Warrior Babe". Close up drawings for head model. Side, 3/4 and Back views for modeling. Front view for Celia model. These are the side and front views I used for modeling the character. A possible environment for a shrine/altar location. Done in Photoshop. The scene of the crime. A darkened alley. Done in Photoshop.